The RSPB reserve is important for many migrant birds and a haven for breeding and wintering birds. The RSPB manages the reserve not only for birds but for the many plants and invertebrates that make their home there. There are hides, nature trails and a visitor centre. To find out more information about this and details of the visitor centre visit the RSPB website. The Dungeness Bird Observatory aims to share information about the natural history of Dungeness and has be running for over 50 years. The observatory run a website for people to access information on flora and fauna which is updated daily. The lifeboat station at Dungeness is home to the RNLI’s ‘The Morrell’ lifeboat, which regularly assists those in distress at sea off the coast of Dungeness. There are events at the station throughout the year visit the station website for more information. 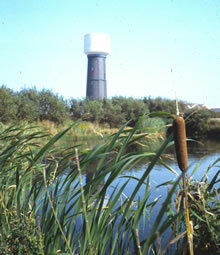 The water tower at Dungeness is not open to the public but is a distinctive landmark. 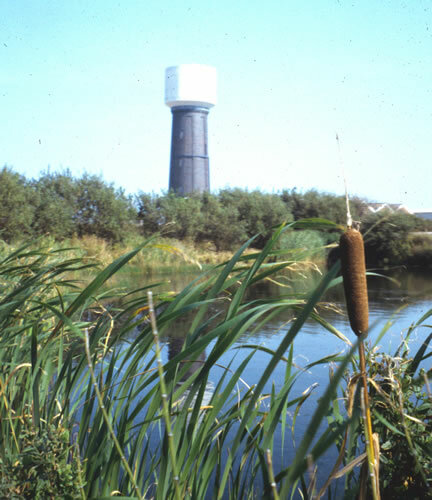 The tower was built alongside a gravel pit in the 1900s to provide water for New Romney, Littlestone, Greatstone and Lydd. The Old lighthouse is a Historic Grade II building and was opened by the Prince of Wales in 1904. If you would like to visit from April to October or find out more information your can visit the Old Lighthouse website. 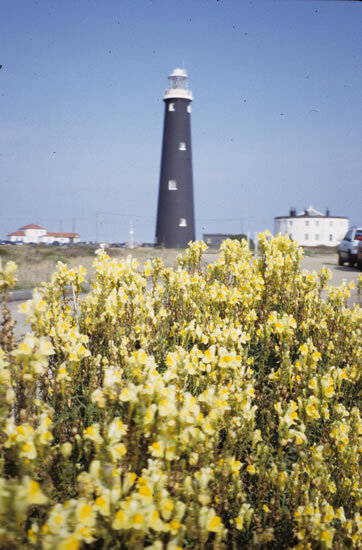 The new lighthouse at Dungeness was officially bought into operation in November 1961. This lighthouse is unusual as the whole tower has been flood lit, this has been shown to reduce the bird mortality rate. The lighthouse is not open to visitors but if you want to find out more you can visit the Trinity House website. Dungeness A power station ceased to produce electricity on the 31st of December 2006. When it was operational on a typical day it supplied enough electricity to serve the energy needs of the South East of England. Dungeness B power station is still operational and was due for closure in 2018 but it was extended to 2028. 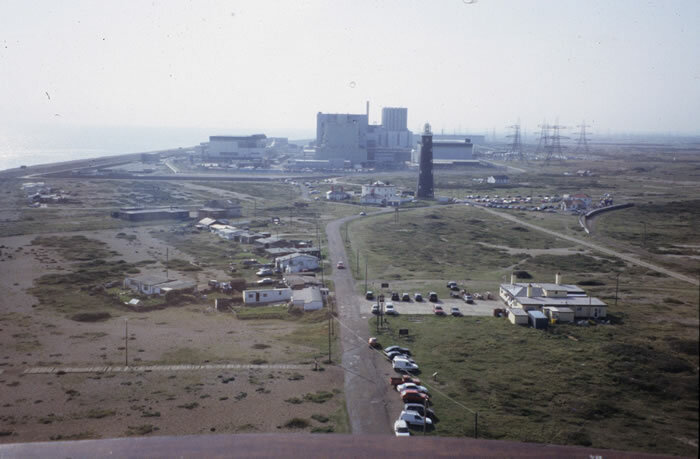 To find out more about Dungeness A visit the Magnox website. Dungeness B station began generating power in 1983 and is capable of producing enough electricity to power 1.5 million homes. To find out more about Dungeness B you can visit the EDF website. The Romney, Hythe and Dymchurch Railway terminates at Dungeness and is a popular tourist attraction for the region. This narrow gauge railway was built in 1927 and claimed to be the smallest railway in the world. 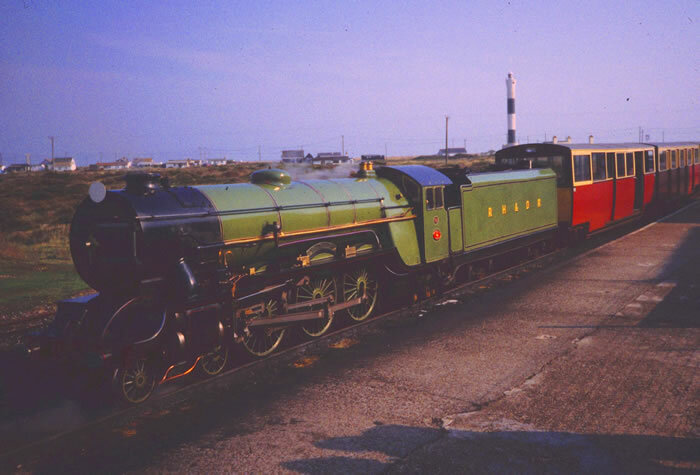 The track was extended from New Romney to Dungeness in 1928, where there is now a café and gift shop at the holt. To find out more visit the Romney, Hythe and Dymchurch Railway website. 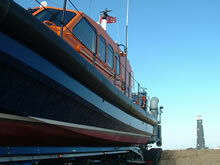 As well as parking and fine views The Pilot offers real ale and is well know for its local fish and chips. The Pilot is said to have been built in the 17th century from the remains of a Spanish ship looted by local smugglers. You can find out more at The Pilot’s website. The Britannia is a few minutes walk from the Romney, Hythe and Dymchurch Railway. There is disable access to the beach opposite and the pub has its own garden. The Britannia serves food and specialises in local fish. You can visit The Britannia Inn's website to find out more. This family owned fish supplier have run a fish shop for over 70 years. Their fresh fish is caught by local Dungeness boats. To find out more you can visit their website. When walking on the Romney Marsh it is easy to get a feeling of remoteness that is difficult to find elsewhere in the south east of England. 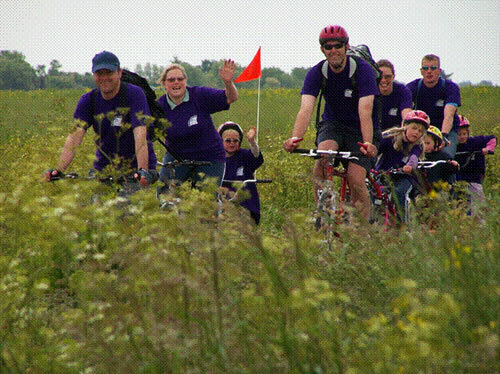 The farmland of the Romney Marsh has hundreds of miles of footpaths which, together with the quiet country lanes and bridleways, make it simple to organise walking and cycle routes that suit you. Alternatively the Romney Marsh Countryside Partnership has produced a pack of self guided walks and a pack of self guided cycle rides. To find out more about the area you can visit the RMCP website. Whatever the weather or season there’ll be something to see or do along the canal. You can walk the Royal Military Canal Path which runs for 28 miles along the entire length of the Royal Military Canal from Seabrook, Kent to Cliff End in East Sussex, there also a pack of self guided walks available. A five mile stretch of the Royal Military Canal Path has been surfaced and makes an excellent cycle route along the canal banks. 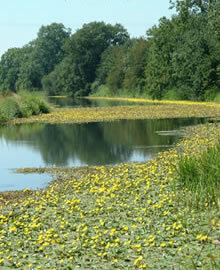 To find out more about the wildlife and history you can go to the Royal Military Canal website. 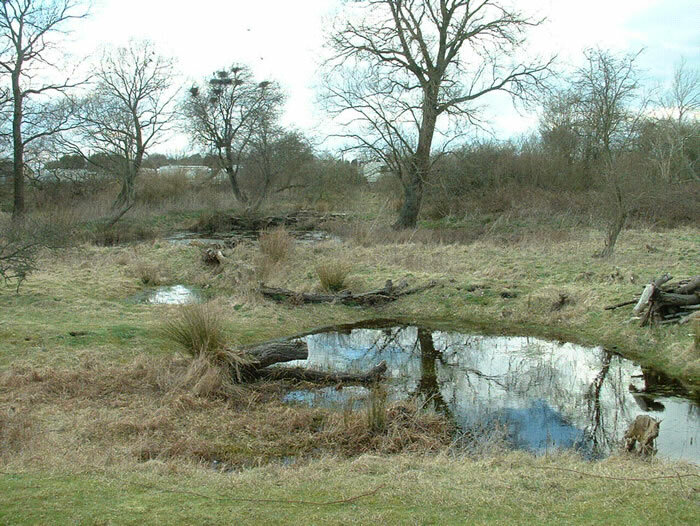 The country park is home to a number of rare species such as the great crested newt and great diving beetle. Habitats for these and many other species are managed by the Romney Marsh Countryside Partnership. 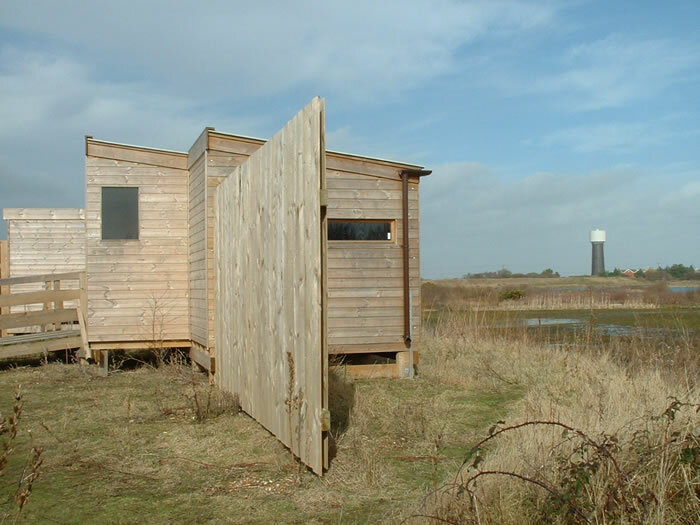 There is a Romney Marsh Visitor Centre, run by the Kent Wildlife Trust, based in the grounds of the Country Park. At the visitor centre there is a shop and an exhibition where you can find out more about the local area. 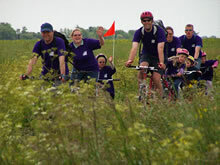 To find out more about the centre you can visit the Kent Wildlife Trust website. 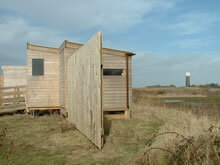 The Rye Harbour Nature Reserve and bird hides are open to visitors at all times. There are a network of footpaths and entry is free. To find out more about this reserve and the rare plants and animals that thrive here you can visit the Rye Harbour Reserve website. Camber Castle was built to protect the towns of Rye and Winchelsea. The main structure of the castle remains largely intact. There are footpaths that run alongside the castle which you can use at any time. To see inside the castle itself details of opening hours are available on the English Heritage website.